So how do agents avoid the detrimental ones? Facebook page likes are powerful. The problem is, most real estate agents still think they are meaningless. Many real estate agents think Facebook page likes are a competition. The more likes the better. Another big issue with this is that Facebook encourages this kind of behavior! Facebook is constantly reminding page owners that they need to reach their next milestone … whether that milestone is getting a page user name, getting their first 100 likes, or getting 400-500 likes so they can access different analytics and targeting available to pages with more likes. This encouragement from Facebook is a Catch-22 for real estate agents. They want to achieve those milestones and Facebook isn’t teaching them about truly targeting their likes. They are simply encouraging more likes, which, unfortunately, is setting up that page to fail, by Facebook’s own algorithm!! Another group of real estate agents (and their coaches) thinks that page likes aren’t leads so don’t bother. This group of agents is usually pretty vocal. They talk about “moving the dial” and that page likes aren’t moving the dial. They firmly believe that page likes shouldn’t be pursued or measured. The thing is, they are partially right! Page likes are typically not someone who is ready, willing and able to buy or sell a home right this minute. However, page likes are what I call “thawed out leads.” In other words, they liked your page for a reason. They have some idea that they either like you, like your business or might possibly need your services in the future. They’ve made the first step towards you and your services. Here’s what’s important to know: All page likes are not created equal. Don’t mistake anything I’ve said above. Not all page likes are equal. Not at all. 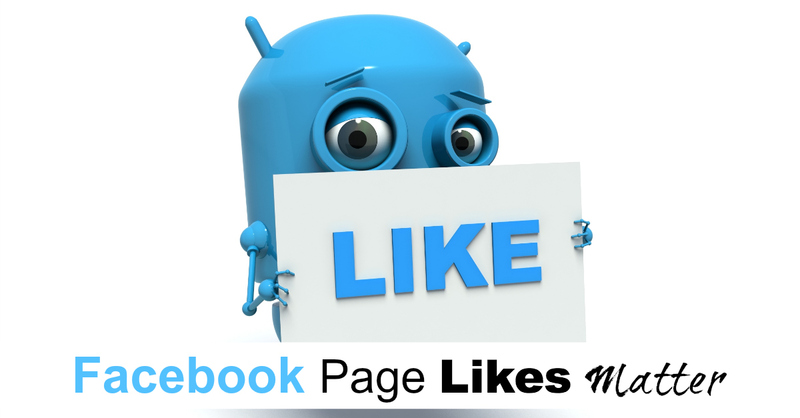 In fact, there are page likes that are beneficial and page likes that are detrimental. You want the beneficial page likes and you want to avoid the detrimental page likes. So what are detrimental page likes? Detrimental page likes, according to Facebook’s algorithm, are page likes that are not interested in your page. They aren’t likely to engage with anything you post. They are inclined to “unfollow” or “hide” you in their news feed. Facebook considers those actions negative and will penalize your page by not showing it to as many news feeds if you have page likes doing this to you. Detrimental page likes are also likes that are not your target niche or audience. In other words, they aren’t likely to use or recommend your services. What are beneficial page likes? Beneficial page likes are likes that are your target client. It’s really that simple. Beneficial page likes include your past and present clients. They include locals who are likely to use your real estate services. They include anyone, anywhere likely to use your services. However, the better you know your target audience, the more beneficial your page likes will be. So my question for you is, what do you think about Facebook page likes? Does what you think line up with the facts? Want to go more in-depth on page likes? I’ve gone deeper here: Facebook Page Likes Matter For Real Estate Agents, Now More Than Ever Before. No email registration required.